Charlotte Wine & Food Weekend hosted Chef Steven Devereaux Greene from Herons restaurant for an in-home cellar dinner experience on Thursday, January 17th at the private residence of David and Pam Furr. 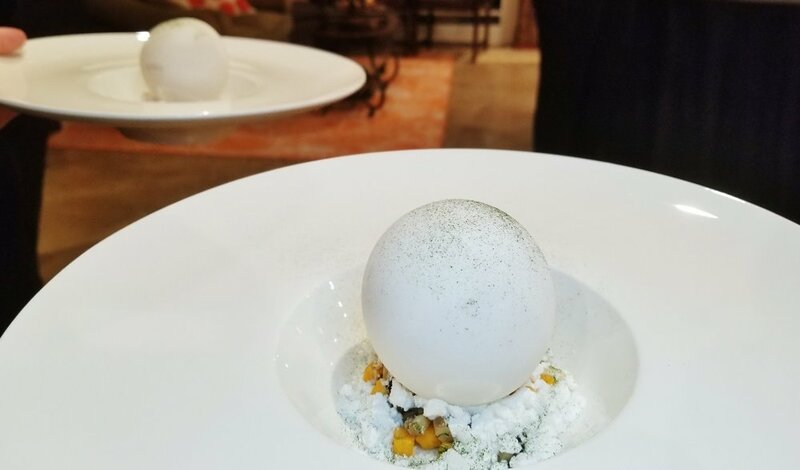 This dinner experience was purchased during the April 2018 Charlotte Wine & Food Weekend. The dinner included an outstanding five-course meal prepared by Chef Steven Devereaux Greene paired with six (6) amazing wines including the 2014 Poggio alle Gazze dell’Ornellaia, 2004 Peter Michael ‘Ma Belle-Fille’ Chardonnay, 2005 J.K. Carriere Shea Vineyard Pinot Noir, 1996 Gaia Contesia, 2012 Concha y Toro Don Melchor, 2006 Trapiche Viña Christina y Bibiana Coletto Malbec, and the 1985 Fonseca Vintage Port. An outstanding evening was had by all, and we look forward to many more amazing auction experiences in the future.